Voysis, the complete Voice AI platform company, today announced that it has developed ViEW – Voysis Embedded WaveNet. ViEW represents the next evolution of DeepMind’s WaveNet technology making it available for use on any mobile device without needing cloud connectivity. Designed to process the raw audio signal directly, thus allowing the neural network to learn without the constraints of traditional signal processing, WaveNet technology represents the core of the next generation of Voice AI and significantly outperforms all existing techniques in speech synthesis, sounding almost indistinguishable from human speech. ViEW addresses the primary concern of many companies shipping voice powered interfaces – rapidly increasing consumer usage is resulting in a dramatic increase in data center requirements. ViEW models are designed to be small and fast, where it’s possible to run them natively on-device; removing the need for the data center entirely. “ViEW, Voysis Embedded WaveNet, is the beginning of the next evolution of voice and conversational capability. This technology opens the door to having intelligent conversations with any and all devices. As consumer data is processed locally on-device, consumer privacy concerns are addressed; and business concerns around data center costs, uptime, and maintenance are also addressed”, said Dr. Peter Cahill, Co-founder of Voysis. 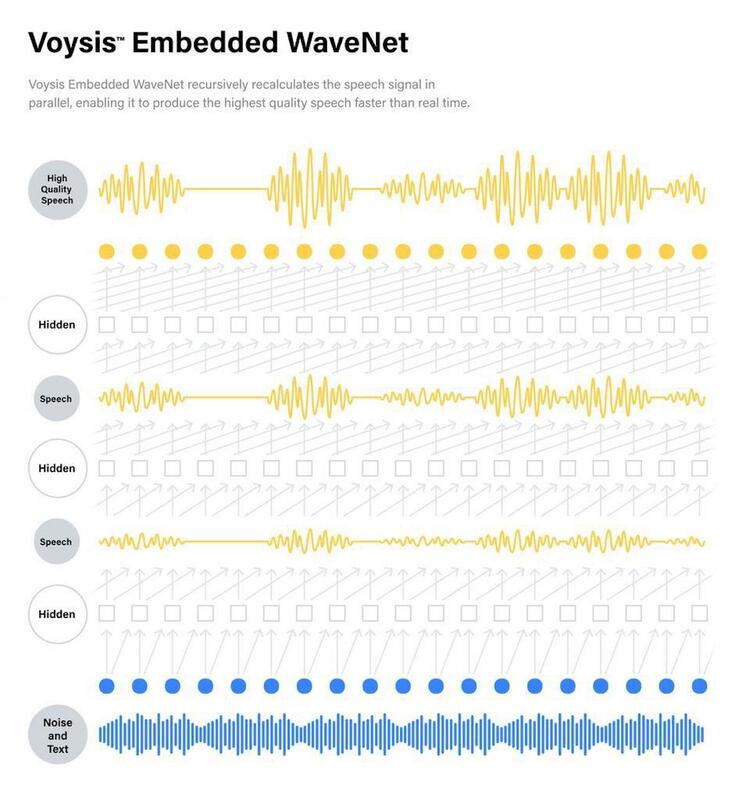 Ian Hodson, an industry veteran and former head of Google’s global text-to-speech team, and now Distinguished Architect at Voysis said that “WaveNet took the industry by surprise and is significantly superior to what many thought was possible. In the space of less than 24 months, WaveNets have gone from being far too power hungry to run in the cloud even for a single user to now, with ViEW, Voysis Embedded WaveNet, being ready for global scale across all devices, for example, cell phones, wearables, smart home appliances, and in-vehicle”.